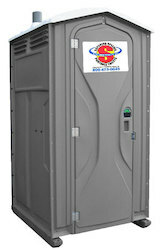 Superior has a selection of top quality portable restroom facilities available for business executives. If your company is holding an upcoming event in Ohio, Pennsylvania, West Virginia, Michigan, Indiana or Kentucky, it is important to have ample restroom accommodations for your guest’s convenience. 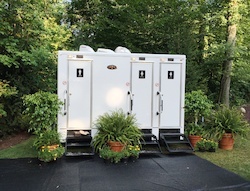 Superior Portables provides you with clean, well-kept restroom trailers for any sized event, however long or short a time you require them. Our selection of portables includes ADA compliant handicap units that can serve up to 350 users per day and VIP luxury trailers that can handle the traffic of up to 800 guests. We also offer restroom and shower trailers that feature a wide variety of amenities, including heating and cooling, wood grain floors, hot and cold running water, stereo systems, and more. We deliver all our portables promptly, providing you with friendly, quality service. To get a quote, or to learn more about our services to business executives, please contact us today.